Below are some pics of a new book I am currently working on. 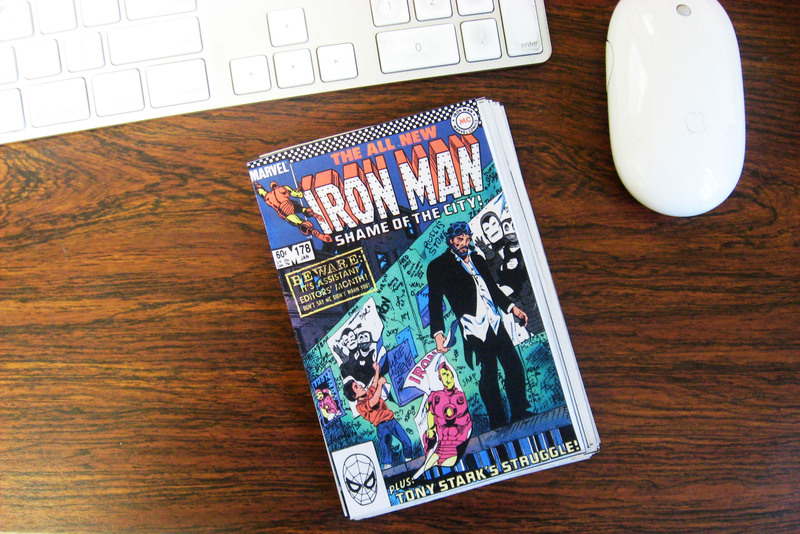 The contents are digital prints of the CMYK project I completed last summer, and the format will copy the original IRON MAN comic format. 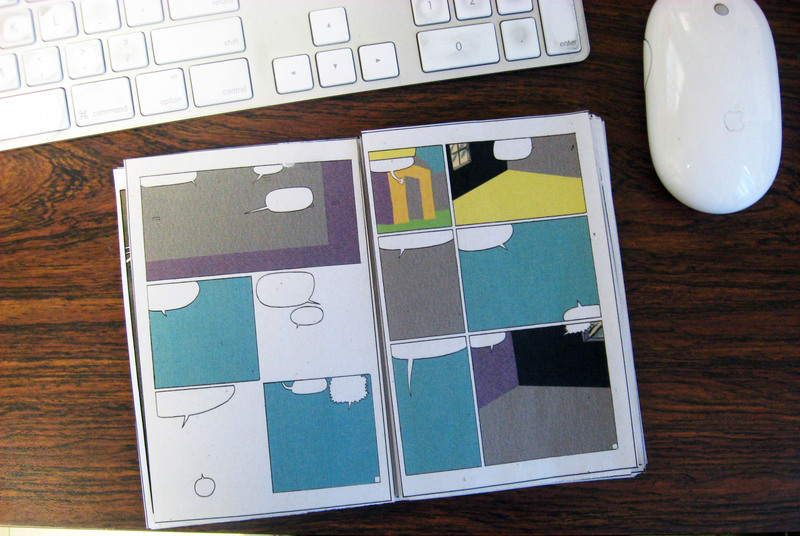 The final book will be the same size as the original 6-7/8″x10-1/2″. This maquette is half the size of the final book. The cover will remain the same as the original. First page, inside cover. I’ve always considered the cover and the advertisements of this book to be “other”. I’ve never addressed them, directly or indirectly. For this project, I am going to include the advertisements on the cover only, as seen here. Inside page, you can see the format I am using. Like the previous CMYK Silkscreen project, these images eliminate all representational visual elements and text. What is left is the dominant color schemes for each panel. The final book will be printed on a high quality newsprint, to mimic the original book. This is a layout that originally contained an advertisement. As I said previously, I always considered the advertisements to be something else. 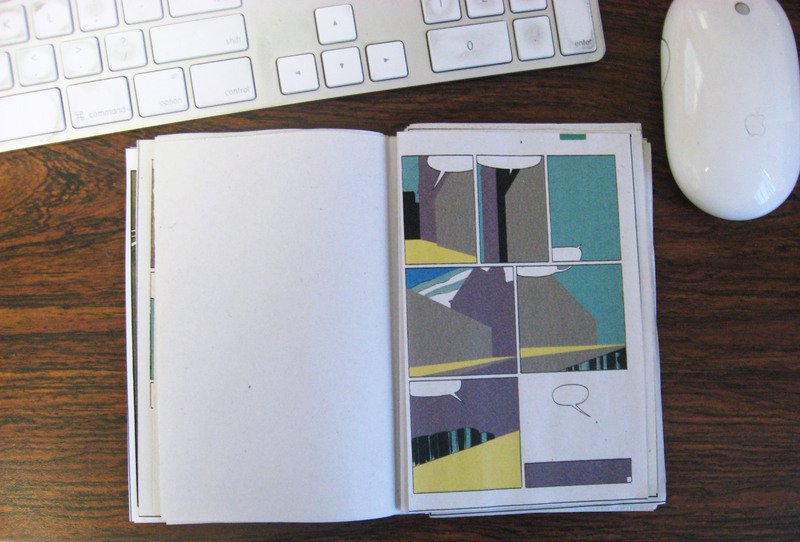 So I decided to keep their spot in the layout of the entire book, but leave those pages blank, as seen here. 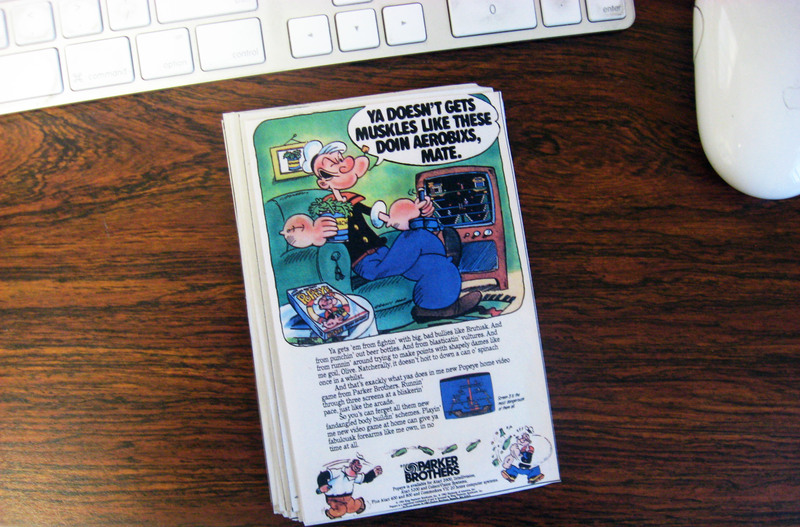 The back cover, with advertisement. The cover will be printed on a higher quality white bond paper, again, to try to match the original as much as possible. There will be two staples to match the original. It has been a long time since I have made a book, so I am really excited to see the final product. 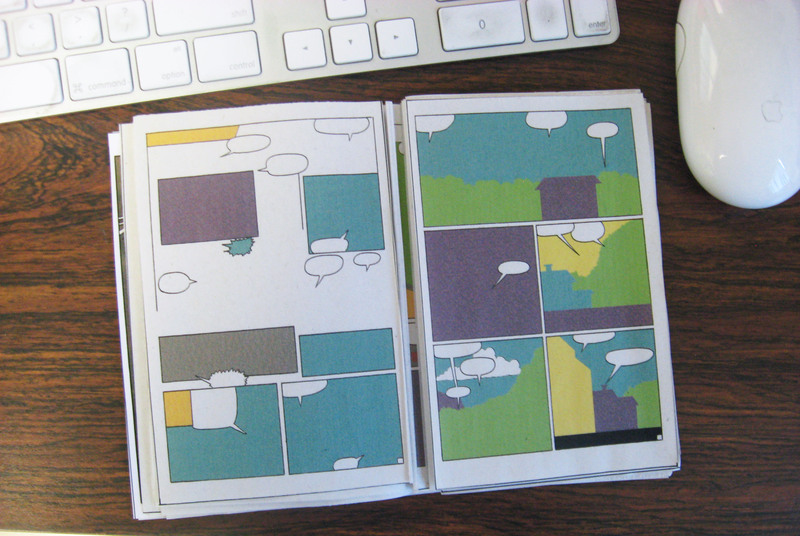 My inspiration for this project is Jim Rugg. 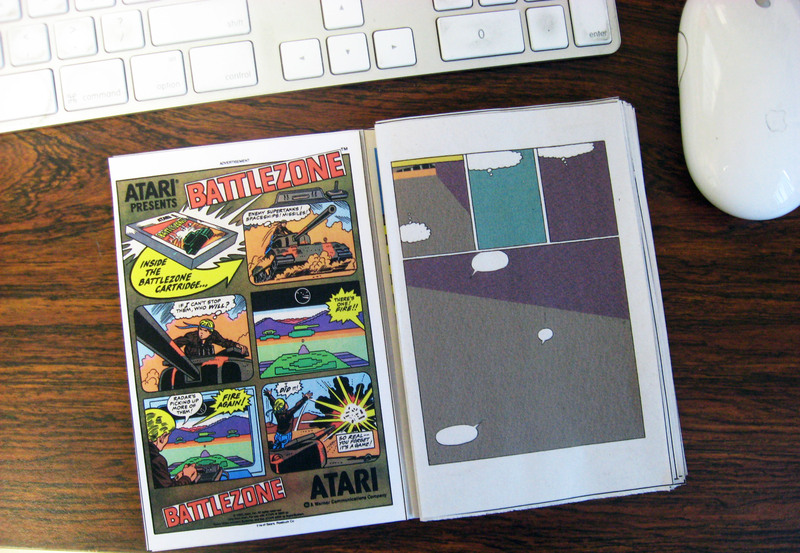 He recently collaborated with Jasen Lex on a book that ONLY dealt with the advertisements in comics. 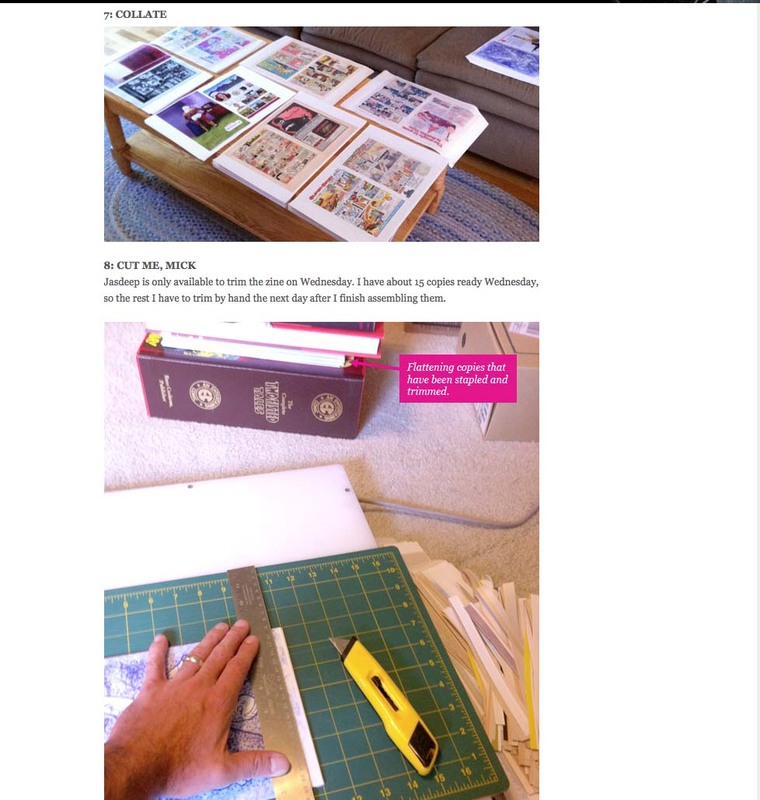 Below is a link to his blog post, which really spells out a way of creating this kind of book. Thanks for the inspiration Jim! When will this book be done? How many do you plan to create? Will it be a numbered edition? Will it be for sale or on display? Thanks. I can’t wait to see this. Learning more about this project and watching you dissect and examine this book has been one of my favorite things over the last year!